Video game music takes up a large portion of my hard drive, however it is merely a fraction of what mecha-related songs inhabit. There is a great deal of crossover between the two though. It's time to take advantage of that since I'm officially unofficially declaring this Giant Robot Week here at A Capital Wasteland. Not sure I have the power to do that, but what the hell, expect a post a day related to the subject of mighty massive mechanoids. Back to the music though, the game featured this time is -deep breath- Super Robot Wars Alpha Gaiden released for the Playstation in early 2001. The song is "Messiah of Steel" ("Hagane no Messiah" in Japanese) by the supergroup Jam Project. 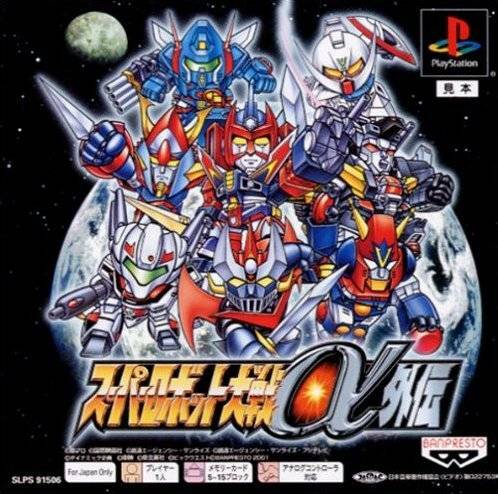 Super Robot Wars is a long-running Japanese game franchise put out by Banpresto that takes a wide array of mecha anime and crosses them over. 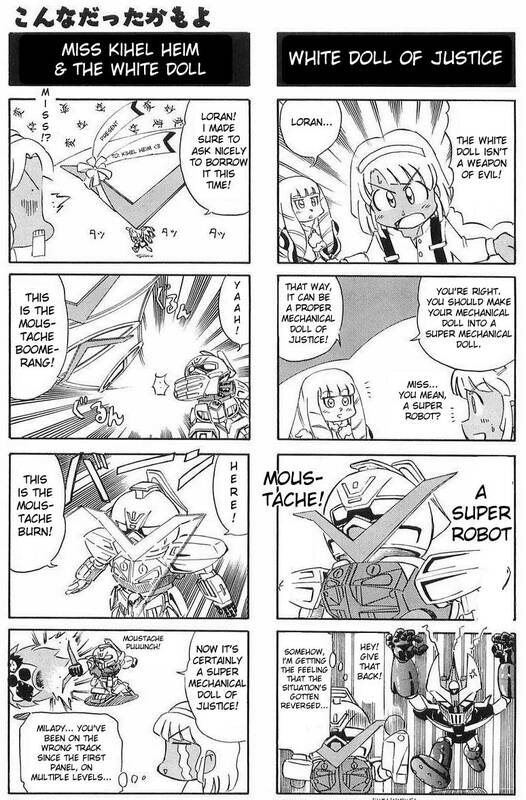 The result is a tactical role-playing game where a bloated cast of heroic giant robots (in a super deformed guise) battle against an even greater number of their collective enemies. Most fans are drawn in by the crossover aspect of the games, which is enough to cover up the sometimes sub-par gameplay. Alpha Gaiden is a self-contained sidestory that takes place after the first entry in the SRW Alpha trilogy on an Earth long after the fall of major civilization. There are a lot of notable things about this game as it introduced some new gameplay elements, featured a rather odd collection of shows included, and is actually one of the few games that has an English translation. All things that make it a great starting point for those unfamiliar to the franchise. Something else that you'll realize about the game right from the loading screen is a blaringly passionate song by Jam Project. Much like SRW mixes a number of existing robots together, Jam Project is a collection of singers who have made anime, tokusatsu, and video game songs their bread and butter. Alpha Gaiden is the first entry in the franchise to feature the group under this name, and it has since become a long running tradition to have them perform an opening theme song and closing credits song for each subsequent game. All these songs tend to be full of big hearty sounds, have somewhere around 5 different vocalists, lots of harmonization, a driving and upbeat tempo, and the lyrics usually expose the virtues of heroes standing defiantly before overwhelming odds. "Messiah of Steel" is no different as it sets the stage for all preceding Jam Project SRW joints. Ichiro Mizuki (Aniki himself), an elder statesman of anime songs, is accompanied by Hironobu Kageyama, Masaaki Endoh, Eizo Sakamoto, and Rico Matsumoto. They belt out engrish infused lyrics and harmoniously cry out for a hero to save the land and stop the war all while electric guitars wail, drum machines go into overdrive, and big ol bells ring. There is no conceivable way that someone can listen to the song and not have a hotblooded passion ignited within their souls crying out for justice. Why does the my heart tremble at this fiery anticipation?